I've been hunting for the perfect camel coat for a while. The ones I had my eyes on( the Zara and Mango ones) were completely sold out. So imaging when I saw this one when buying for The Free Island new collection, yes I'm completely hooked! 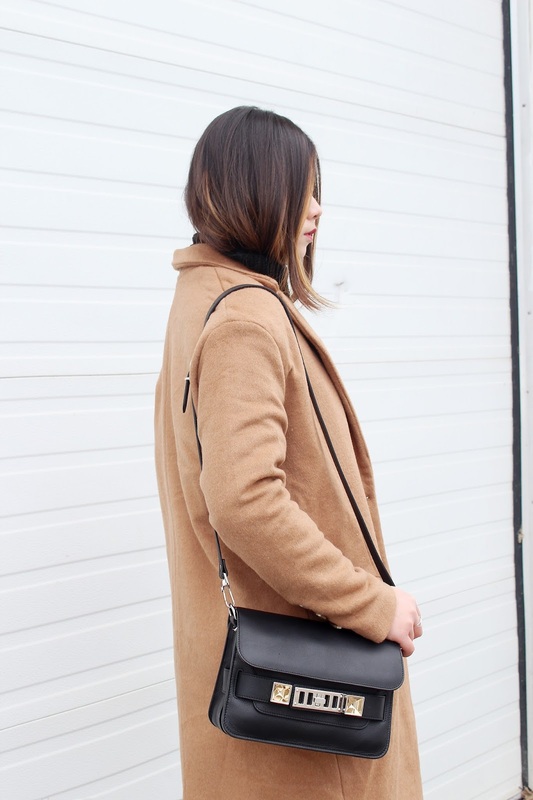 It's long, it's oversized, it's perfectly shaped and it's the perfect camel colour! Seriously, you won't regret after put this on! Oh, and did I mention my new PS11 bag and my new Chloé boots;)?